Medical Cart POP: What Is It and Why Does It Matter? In the realm of healthcare, mobile cart technology is quickly becoming the standard in the patient room. There are a variety of carts for a variety of purposes, ranging from “crash” carts for emergencies to basic supply carts that allow for easy transportation between patient rooms of necessary medical supplies. These carts each have a POP, and that POP is crucial in understanding why medical carts are so vital to healthcare operations. 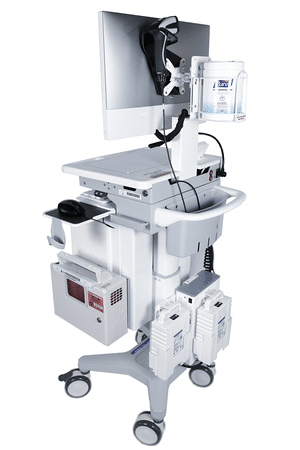 A medical cart’s POP is its Point of Purpose, or a cart’s job, location on the medical floor when not in use, the equipment, supplies, and data it carries, and its overall performance as a cart. These are simple ideas that, together, make up a complex whole. A medical cart is far more than a simple wheeled table used for transportation; when it comes to an emergency room where maneuverability and fast reactions could mean the difference between life and death, a medical cart needs to be the top of its class. It is not enough to simply find a cart and designate it a “medical cart” ready for use. According to The Joint Commission, emergency carts are required to be secured in a way that prevents tampering. Or, because medical carts often carry a multitude of medications, surgical equipment, and/or anesthetic equipment (among other high-profile items), it is necessary that only those individuals designated to use a medical cart can access its contents. Furthermore, a medical cart’s Pre-POP (or the location where it is stored while not in use) should be stored in a location where unauthorized personnel cannot reach it. A medical facility that is staffed all hours of the day (such as an emergency room) is more “secure” than one that has set business hours (such as a local clinic). While there are many different types of medical carts, there are a few that are common to most healthcare facilities and worth noting. True to its name, the Medication Cart is used to transport medications from patient room to patient room. A quality Medication Cart is equipped with locking drawers, adjustable height, and a mobile computer bay for quick access and reference when needed. 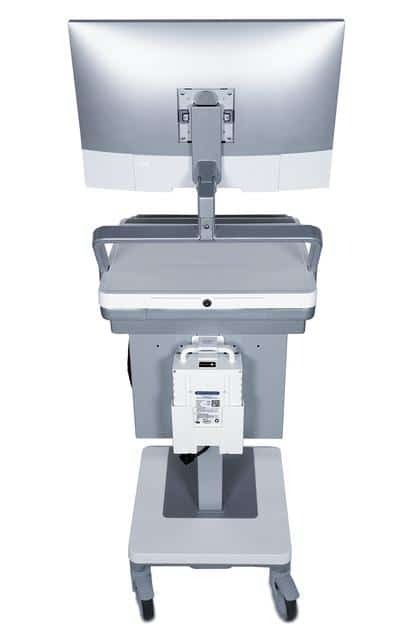 The POP of a Medical Cart is to serve as mobile desk units for the medical professional on-the-go and cut down on the time it takes to prescribe and administer medications in a medical setting. 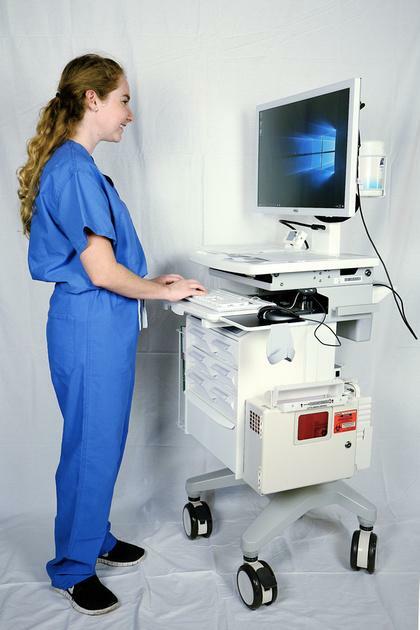 A Point of Care Cart is, at its simplest, a general purpose mobile cart. Primarily, a Point of Care Cart serves as an excellent mobile Electronic Medical Record database, so that medical professionals do not need to consistently run back to a nurse’s station to check on a patient’s medical records. This cart’s POP is to serve where it is most needed as a mobile computer bay with drawer space and a long-lasting battery system so that it is always ready to go. In terms of storage, a quality Point of Care Cart is small and easy to fit into tight spaces or through congested halls. With a similar POP to the Medication Cart, an Anesthesia Cart is specifically designed and used to hold anesthetic medication for use during surgeries. It is of vital importance that an Anesthesia Cart is only used by those qualified to operate it, and therefore falls under similar guidelines of security and storage outlined in The Joint Commission. There is no set designation for what a Crash Cart must contain, but it is understood that the POP of this cart is to serve as a catch-all regarding emergency care. Carts are carts, right? So why is POP so important? The purpose and procedures behind a piece of equipment—especially in a medical setting—is the backbone to providing quick and efficient care. Medical facilities are generally hectic when it comes to certain situations (such as emergencies), and if a medical professional must guess at which medical cart has the supplies he or she needs to treat a patient, he or she does not have time to search through drawers. Knowing a medical cart’s POP and being able to rely on it is the understated, crucial step to providing effective healthcare in today’s growing, fast-paced mobile culture.